Just a friendly reminder, the library will close early on Wednesday, November 27 at 5:00pm, and will remain closed all day on Thursday, November 28 for Thanksgiving. The library will resume normal hours on Friday, November 29. For holiday recipes, decor tips, holiday stories and more, check out the full list of Thanksgiving books in the Mid Hudson Library System catalog, as well as the full list of Hanukkah books. 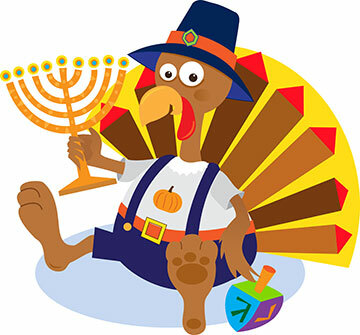 This entry was posted in Adults, Children, News, Young Adults and tagged closed, hanukkah, thanksgiving by Cayla. Bookmark the permalink.